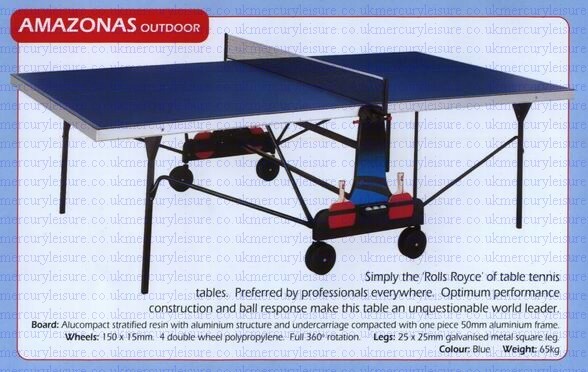 ATLAS (indoor use) £299 delivered to you. 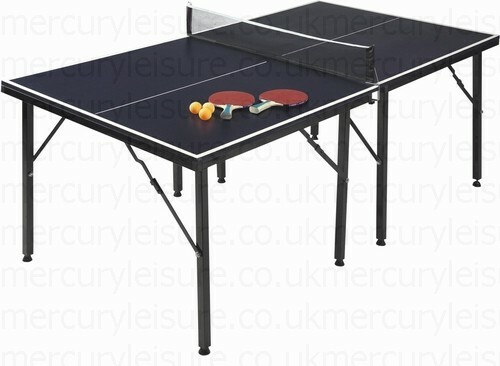 KALAHARI (indoor use) £399 delivered to you. 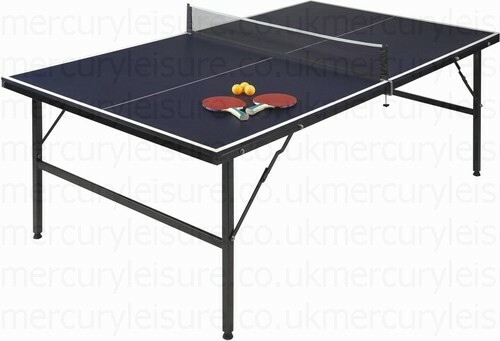 AMAZONAS (indoor/outdoor use) £599 delivered to you. 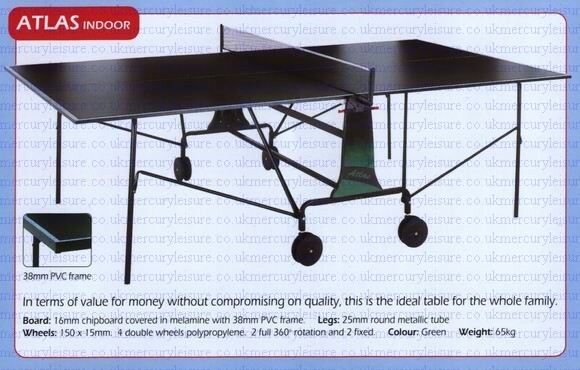 Outside waterproof cover also available @ £34 when ordered with a table postage is free! 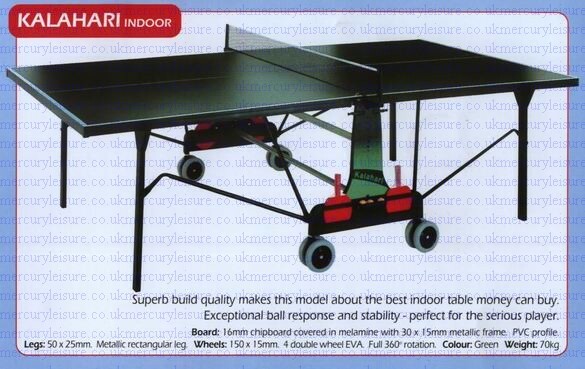 ALL tables are courier delivered boxed complete with playing accessories. 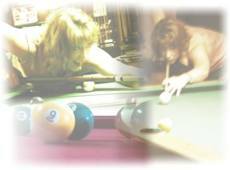 ( they require simple self assembly. 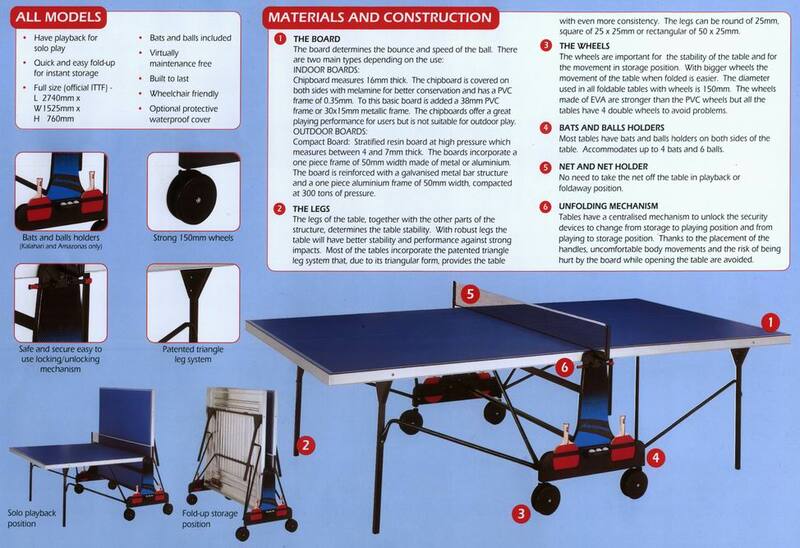 Instructions included) E&oe.